XOOPS is a new winner of the BitNami bi-weekly packaging contest. 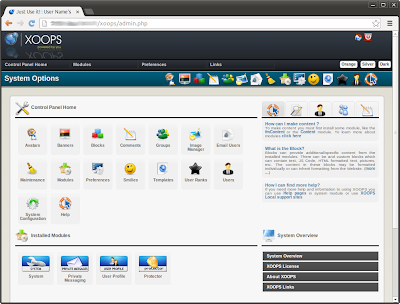 XOOPS is an acronym of eXtensible Object Oriented Portal System, it is an easy to use dynamic web content management system written in PHP. Its object orientation makes it an ideal tool for developing small or large community websites, intra company and corporate portals, weblogs and much more. You can now download free, ready to run native installers for Windows, OS X and Linux, virtual machines and Azure & Amazon EC2 cloud images for XOOPS. You can now launch a free cloud demo server with the BitNami Cloud Launchpad by clicking the launch button below. Michael Beck from the XOOPS project, was kind enough to answer some questions for those of you who may not be familiar with the project. 1. What is the goal of the XOOPS application? Founded in 2001 by group of international software developers, XOOPS quickly become one of world's leading Open Source Content Management Systems (CMS). Known and loved for its ease of use and countless powerful modules, XOOPS received numerous International Awards and Recognitions, including being the Top 5 finalist of the 2008, 2009, and 2010 CMS Awards by Packt Publishing. In January 2009 it received the 2008 China Open Source Software Contest Award and in October 2010 the "Best Technology Award" from Northeast Asia OSS Forum. In 2012 it was voted as People's Choice 1st Runner Up as Best Free CMS, and in 2013 SourceForge selected XOOPS to be included in their directory of "Enterprise-ready Open Source Projects". 2. What are some of the features of XOOPS? for running a web-based content management system. - Fully Modularized: Modules can be installed/uninstalled/ativated/deactivated with a click using the XOOPS module administration system. - Personalization: Registered users can edit their profiles, select site themes, upload custom avatars, and much more. - User Management: The ability to search for users by various criteria, send email and private messages to users through a template-based messaging system. - Supported World-wide: XOOPS was created and is maintained by a team of several hard-working volunteers working from all over the world. The XOOPS community has more than dozen official support sites around the world for support of non-English speaking users. - Multi-byte Language Support: Fully supports multi-byte languages, including Japanese, Simplified and Traditional Chinese, Korean, etc. - Versatile Group Permissions System: Powerful and user-friendly permissions system which enables administrators to set permissions by group. 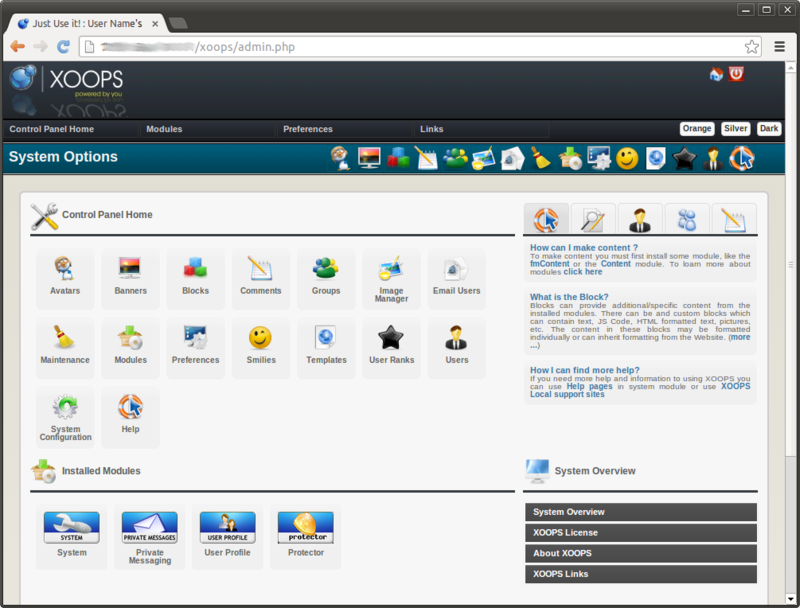 - Theme-based skinnable interface: XOOPS is driven by a powerful theme system. Both admins and users can change the look of the entire web site with just a click of a mouse. There are also over 1000 themes available for download! 3. Which projects or organizations are using XOOPS currently? What kind of projects do they use it for? 4. What do you expect will be the main benefits of having BitNami packages available for XOOPS? The main benefit for XOOPS of being in BitNami distribution will be increased number of choices for users to install XOOPS, and making it easier for them, as they will be able to install XOOPS with one click on various platforms, incl. Windows, OS X, and Linux. We are glad XOOPS is now part of BitNami. Would you like your favorite app to be part of BitNami? Make sure to suggest and vote for it in our contest!